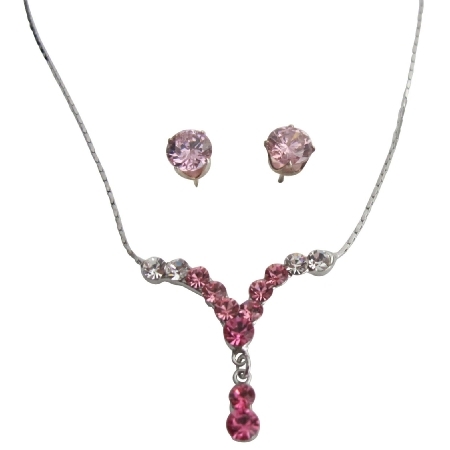 A jewelry set of glamorous Y Shaped Bridal Pageant Necklace Earring Set in Dazzling Pink Crystal necklace Y shaped & matching stud earrings. Perfect for special occasions most especially at wedding ceremonies. Perfect bridesmaid gifts prom party or beautiful jewelry for yourself.